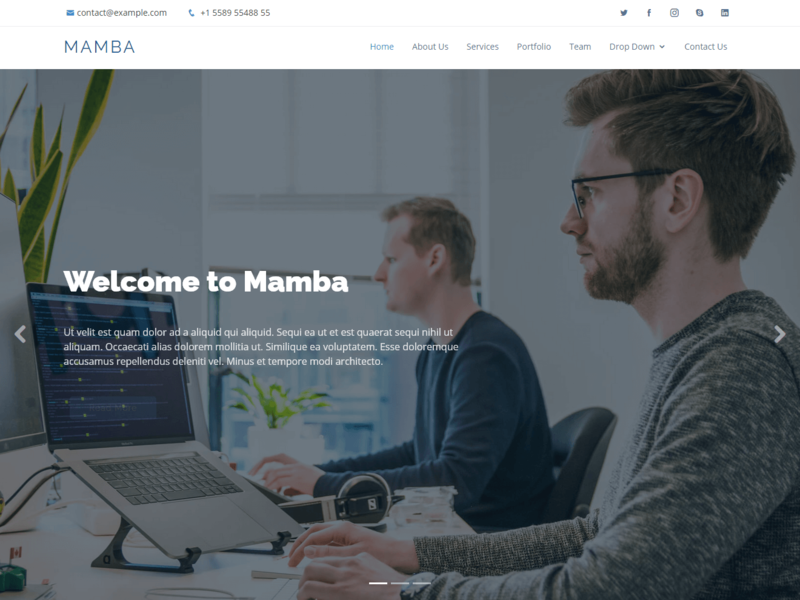 Mamba is a free Bootstrap 3 template showcasing a fine, flat, parallax page. Great starting point for single page sites. It would be great to be used for an agency site, or portfolio site.